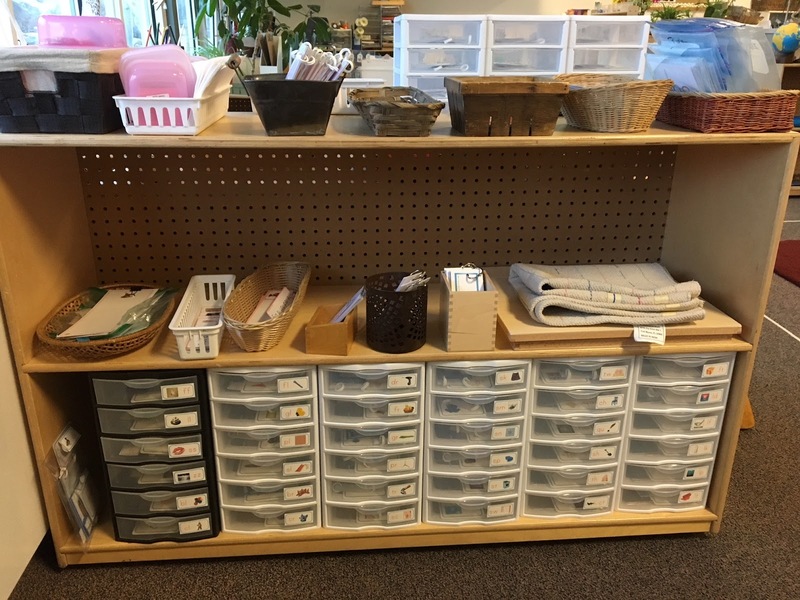 My Montessori journey has been an incredible one of self discovery and learning. Through it all one thing I have learned about myself is my utter respect for learning something new and making my craft as a teacher better because of it. This often means that my created work will change. In no place has this been more true than in the Language Program. The Pink Reading Level has remained fairly static since it was created. Not much has changed about it except a couple of additions like Sight Words and Nonsense Words. I'm sure it will happen and then I will update, but for now the NUMBER 1 hit for Pink Reading on the internet will stay the same. I really like that this humble little blog has the #1 hit for Pink Reading work, mostly because it is free for anyone who wants and needs it. I feel in this way I am serving my greatest desire: helping those who really need it with the best materials I can as a means of serving the children of the world and my Savior, Jesus Christ. Since I first created the Blue Reading Program I have changed it a couple of times. I am now at a place where I am feeling pretty confident in its completeness. With that said I am unveiling it to ya'll today. I've actually had this for a while now, but was overwhelmed being a full time spouse, a full time mommy and cancer mommy to boot, in the Relief Society Presidency at church, being a full time Montessori teacher, being a sister, daughter, cousin etc. I gave myself permission to make the world wait a little while. My Cancer Cutie finished his treatments for leukemia last month and I'm ready to get back to a new kind of normal life. I changed jobs again and moved to a WONDERFUL new school in Salt Lake City called Montessori Community School. I absolutely LOVE it there! It really is such a place of community and fully interested in following the child. I am back in Early Childhood again. I don't think I could choose a favorite between Early Elementary and Early Childhood. I sure am missing those 8 year olds right now, but I'm in love with the 3-6's just as much. 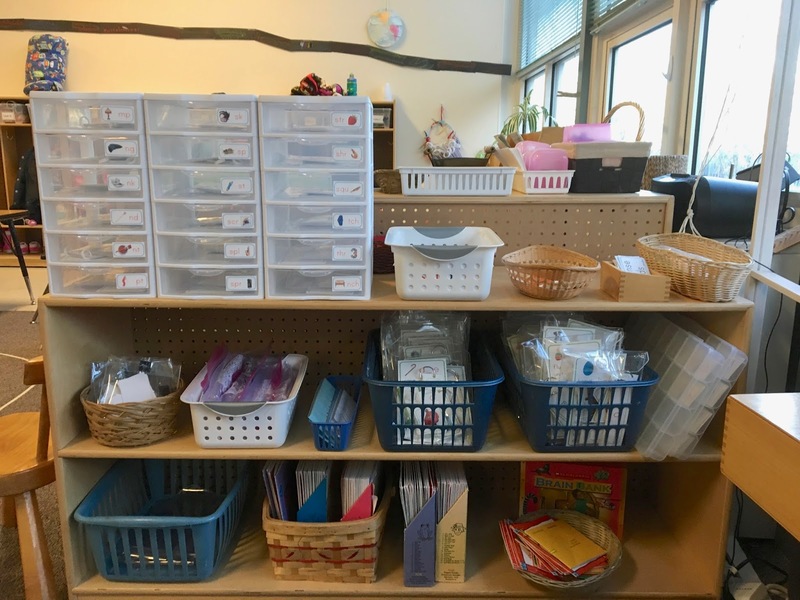 I am going to take you on a tour of my Blue Reading set-up, why they are the way they are, and how these skills are taught in our classroom. Small Moveable Alphabet on the second shelf. 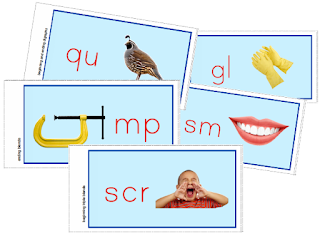 At the end of their time in the Pink Reading program the child needs to begin memorizing their Sight Words. I use the FRY words for the set I have created. Using the most frequently used words in the order of their frequency in text seemed to make the most sense to me. 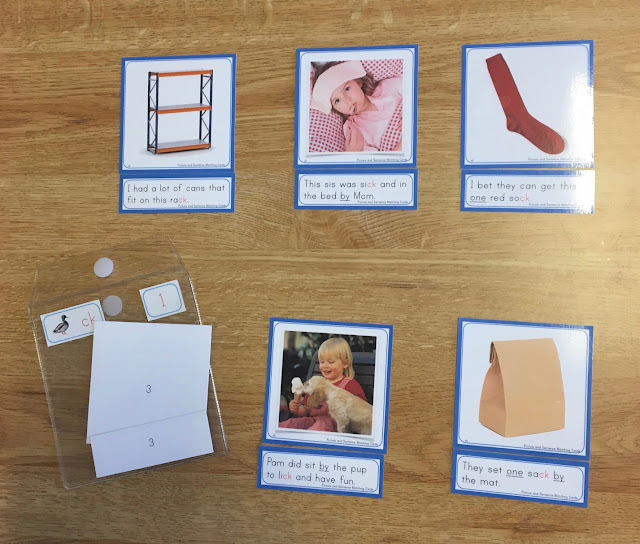 I make sure they know the words A, a, The & the before they use the Pink Level Picture to Sentence Matching Cards and when they have mastered those I get them started on the Sight Words. I want them to have the first 25 under their belt before starting the Blue Reading Level. The Pink Level are in 3 small sets of cards that I put onto metal rings. Together we play a game. We go through the cards and name them. I let the child know that these are words they need to just memorize and let's see how many they can remember today. Any they remember they can have in their pile. Any that need more practice will stay in my pile. We practice what the words are and do it all again until they get all the words. 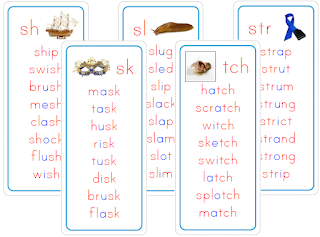 I try to practice Sight Words with a child at this level at least a couple of time a week. Sight Words will be a regular part of their day from this point going forward and continuing through the Green Reading Program. 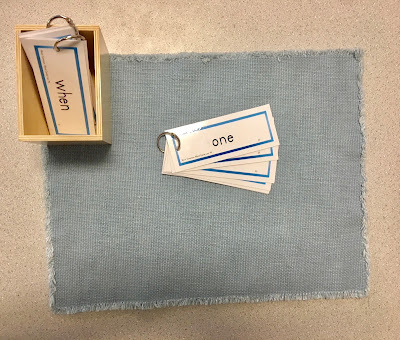 The Blue Reading Sight Words correspond with the Sets outlined below. My favorite part about this Blue Reading Program is the fact that I have had complete control over how integrated all the parts are. It has been so frustrating trying to make what is out there work for my vision. I could see what my students were lacking but couldn't really fix it without creating an entire program that addressed all of their needs. Students with learning differences, visual processing disorders, and even dyslexia needed all the steps and what I was using wasn't cutting it, but the students who were not facing any of these challenges could make big jumps in the matter of a week or even days. How was I to service both sides of the spectrum? The answer has been to service the one with the greatest need and let them all move at the pace right for them. 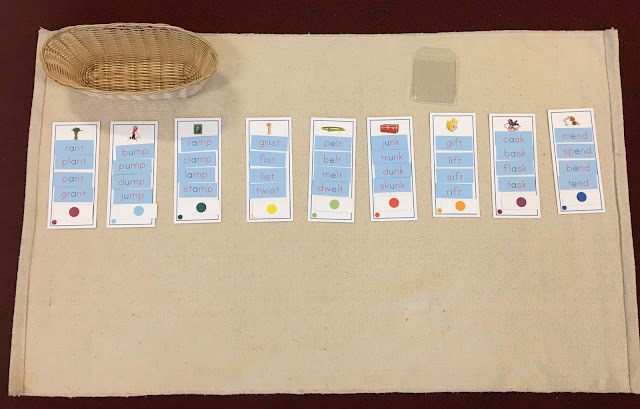 The child who doesn't need all the steps can show me they are totally mastered, have written their words, can read the sentences and match them to the pictures, know their sight words, and they can move on. These children will often get through 3 envelopes in a week if they are really motivated, and truth be told, sometimes these children will come back after a weekend and have all kinds of new blends under their belt. This is fun to talk with them about and work through what they can skip when we get back together. It also feels like a great accomplishment for them. This is the only set of Blue Reading I keep in a clear vinyl envelope. All the others are housed in the boxes. 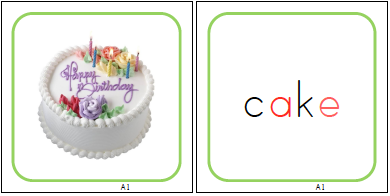 29. th - This box also contains the word list for both voiced and unvoiced th. Voiced example: bathtub, unvoiced example: that. I also have the voiced and unvoiced th sorting mat in this box. 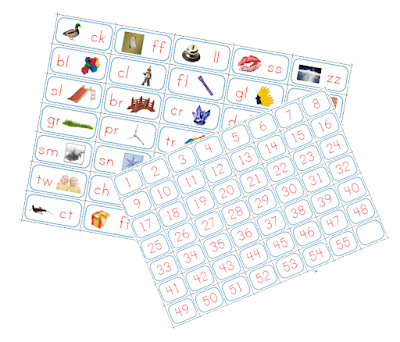 In the first box of every above mentioned set there is an "I Spy" game using those sounds. 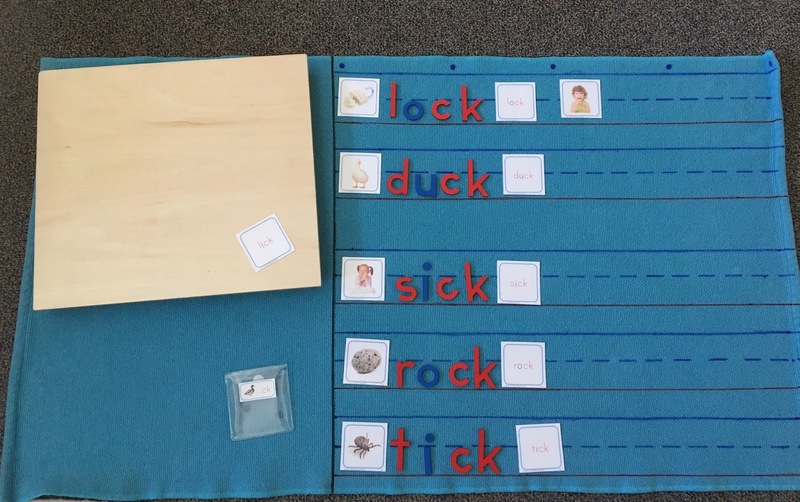 This is a great assessment tool to see if a child can sort the sounds and is ready to use the boxes. If they are not at mastery wait a bit until they are and then have them use the boxes. with stickers after I've laminated and cut them out. the left and the picture on the right. 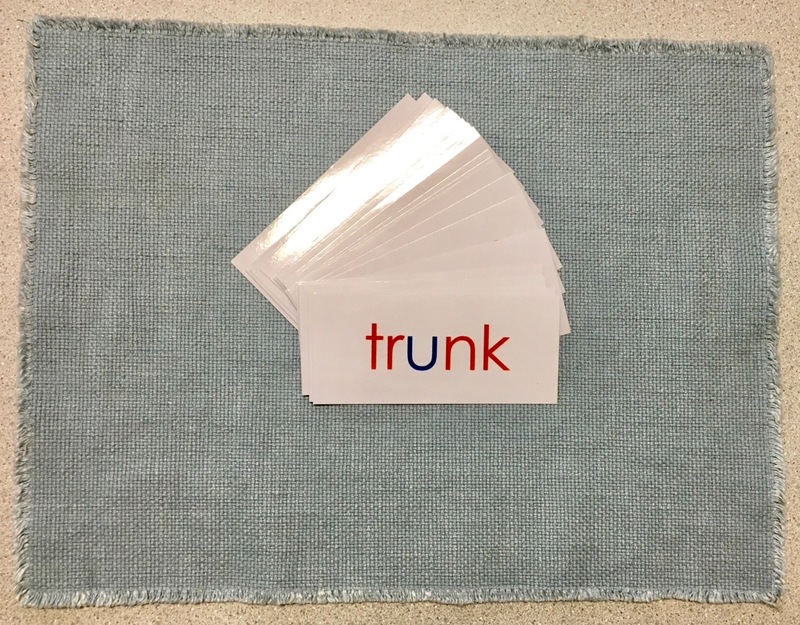 When using these cards the tonekeeper or person working with the child holds the word cards while the child builds the word with the Moveable Alphabet. 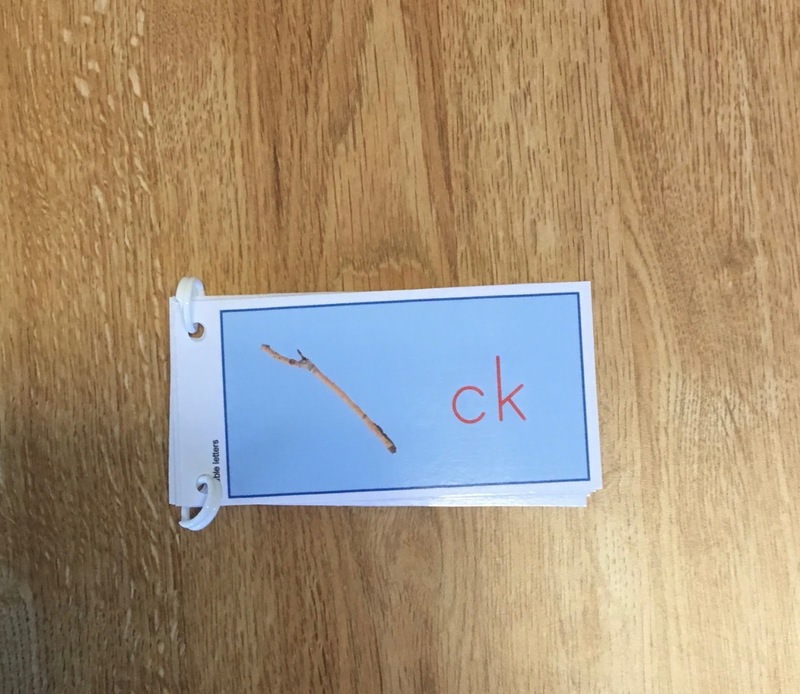 Then they fetch the word card from the adult and see if there are any letters to swap out or move. 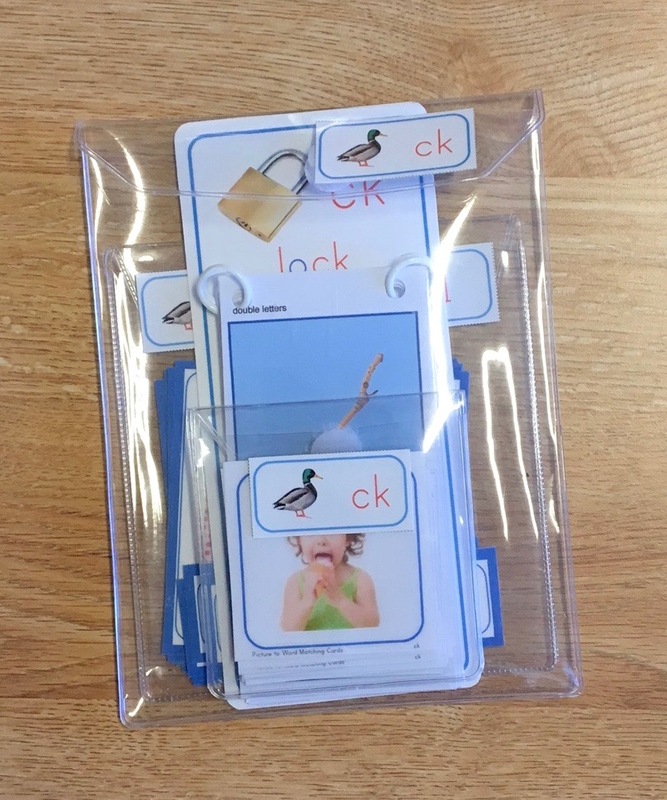 These are single word booklets to help the child have further reading practice with the skill and success in booklet form. After a child has mastered their word list there is a writing piece. They use the Blue Reading Word List writing paper to write their list and put in their file or binder. The th digraph is really two subsets the voiced - as in bathtub and the unvoiced - as in that. 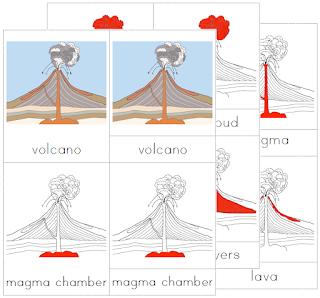 This work helps the child become more familiar with both. 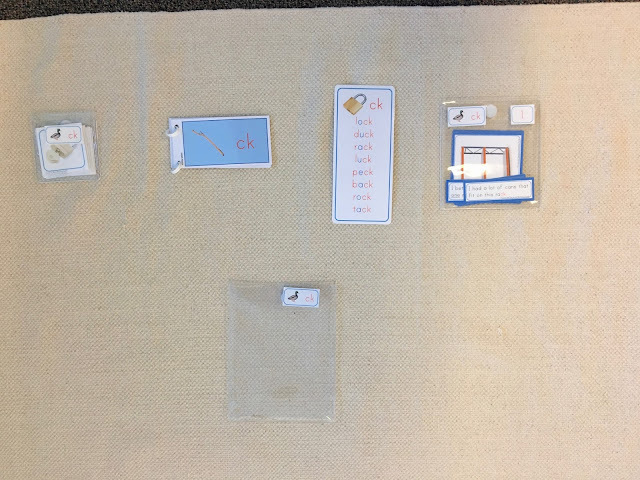 These sets correspond to the Sight Words. 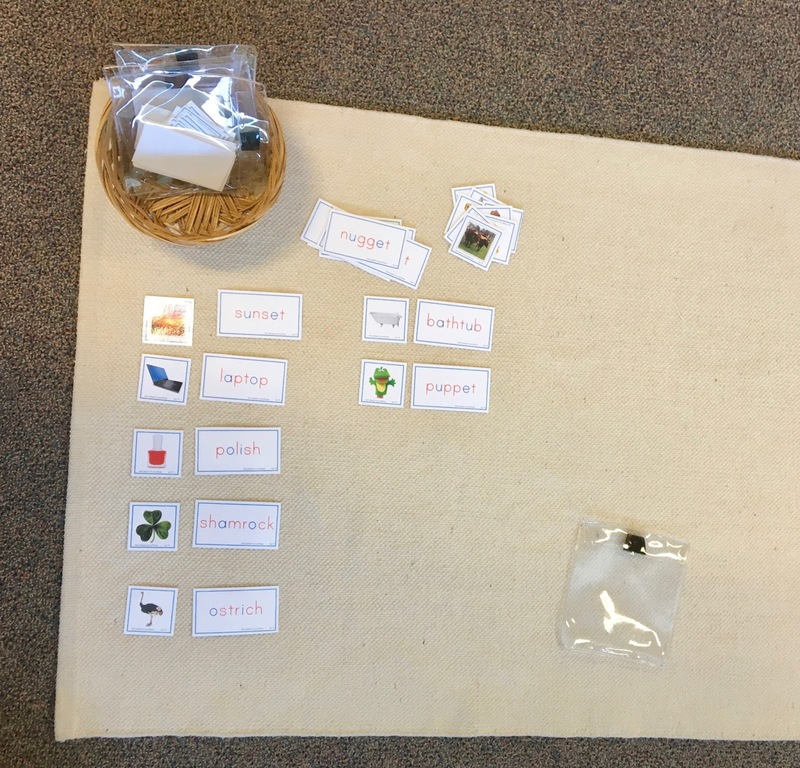 Each set of Blends has a certain number of Sight Words that are used in the sentences. Everything is scaffolded and builds skill upon skill. I LOVE this part of the program. This is exactly what I felt was missing from everything else I'd used. Children at this level NEED to be working on their sentence skills and building confidence in their reading at large. That is right. After the boxes there are still some skills to learn before moving to the Green Reading Level with real success. I am putting in a HUGE plug for this work. It is quite possibly our key to success in reading. The ability to read words with fluency literally changes the ball game for students. Look here for the Pink Reading Level Fluency Cards. 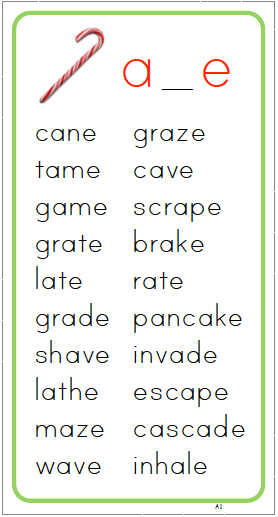 These words are in 12 sets of 24 words. By this time the child is working on moving more quickly. During the Pink Level we are working on learning how to blend. In the Blue Level the child masters the set by reading 20+ words easily. This usually takes a few times through the set before they reach this mastery. We use the same game as with the Sight Words. First time through any words they can read easily within about 3 seconds goes into their pile. Any they still need practice on stays in my pile. We count how many are in their pile and say, "Look how many you have in your pile today!". We then practice through the words they need twice and see if they can add any more to their pile. Only the amount from the first run through count towards mastery. 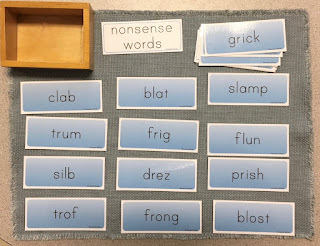 The child will use this work until they have mastered all the sets, or until I feel confident they are reading blends and beginning digraph words with facility (at this level it is harder since those triple blends will trip up the kids sometimes). This could last into the Green Reading Level. I have replaced Secret Words with these cards. The children I've worked with have loved this work. This is a two person work for children on the same level or one on the level and one already mastered with this work. The cards are sorted into two piles and set face down. The first child reads their top card to themselves and acts out the command. The other child tries to guess the word and then it is revealed. Then it is the other child's turn and so on until all the cards are acted out. This work is used exactly the same as the Single Word Command Cards but the sentences give more direction for the children to follow. There is a very important reason to add these cards into your reading works at every level. 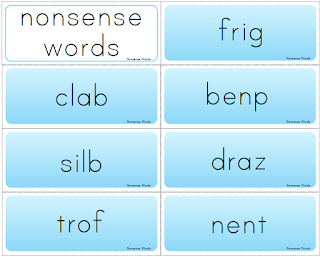 I was first introduced to the importance of nonsense words when working in the public school system for a couple of years. I thought it was so strange until I learned about the research behind this skill. A child who can read nonsense words and feel comfortable with them will have greater ability to read longer and more complex words with ease. If we break down a big words, such as presidential or endangerment, they are made of word segments that do not make much sense until the word is put together. 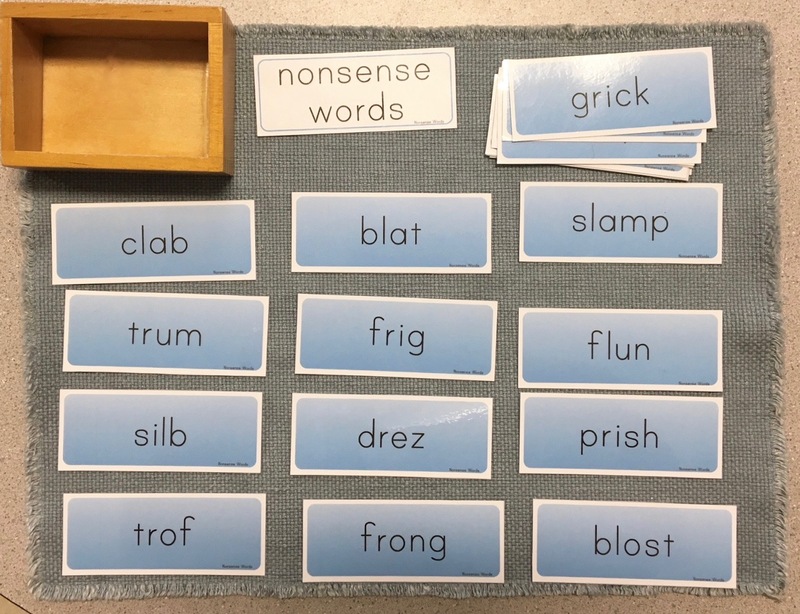 Honing the child's skill to read nonsense words supports their overall reading success. 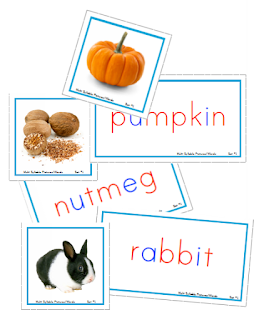 Rhyming is so important to reading success and this set helps with the further practice of this skill. 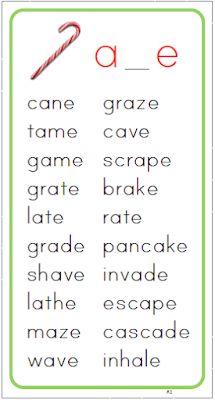 I've always found it so confusing to throw children into the Green Reading level without giving them the success with multi-syllable words before they begin. This work has three sets of ten pictures and matching cards. 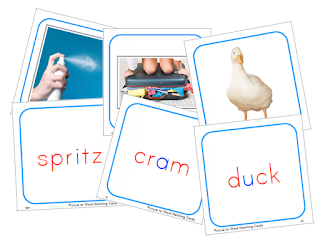 It allows for a formal introduction to multi-syllable words. 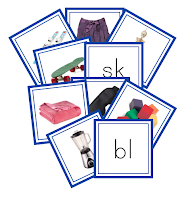 This set is used the same way as the other fluency word cards. 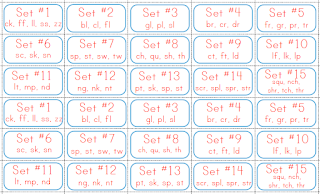 Sort into sets of about 24. 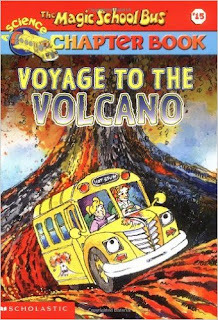 This work will be used well into the Green Reading Level. 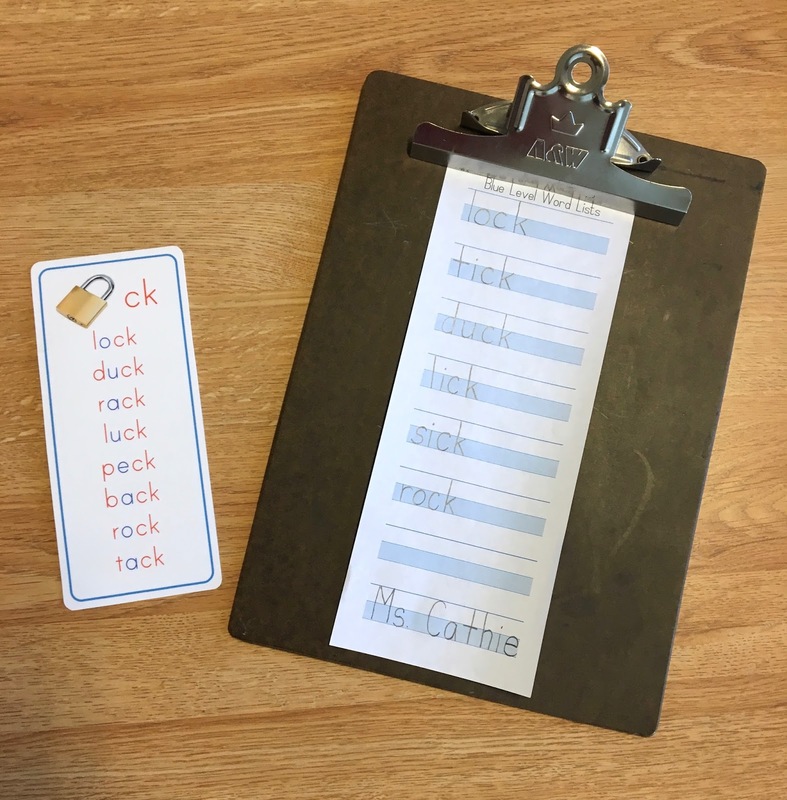 This work gives the child practice in using their multi-syllable words in sentences before adding new difficulties found in the Green Reading Level. All these works have made a huge difference for the one and for all in the classrooms I've been in the last three years. Particularly for those who would have been struggling in their reading much more without the skills being broken down for them. I hope you love it as much as I do. I am pleased to introduce the reformatted and imagined Green reading program. This has been years in the making and there are still portions under construction. There are some specific reasons this has happened and I think it worth having a discussion about learning to read. There are enough children in the world that do not learn language easily and smoothly. I have known droves of children who could quickly move ahead in reading. They made jumps in a single day. Some of my own children could do that, some could not. Because my oldest daughter really struggled to learn to read it has become very important for me to learn how to break the Montessori language program down in a way that it will fill in those gaps. There are plenty of children who enter my life every year who also struggle to learn reading. I want such a challenge to be beatable. These children need explicit instruction and it is our challenge to do that in such a way that compliments a Montessori, self learning style. You can never tell which rules someone will get quickly, and which have to be broken down. It varies so widely. What I have been looking for is something that truly scaffold skills. Since all the reading programs we have purchased and tried are either missing too much, do not build skills on each other, or do not follow a coherent pattern I have decided to do it myself. I do not in any way believe I am remotely finished with updates and changes to the program, but this is a great start! The groupings have changed significantly from any of my previous work. I have reference the Orton-Gilligham sequence as well as several other well known programs. I have tried to stay close to the OG method while still making allowances for the needs of this program. 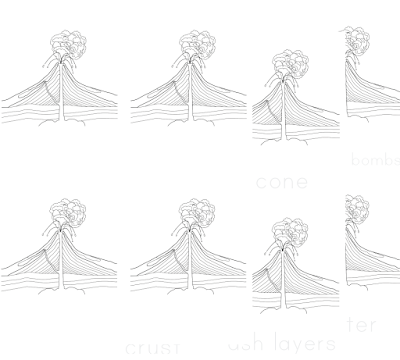 Because of the scaffolding nature of this sequence it would be very tricky to find images if we stayed purely with the OR sequence so there had to be some changes made. First I should like to bring to your attention the way in which all the parts of the program are used. For each difficulty there are 6 steps. NOTICE that the difficulty is isolated in red. 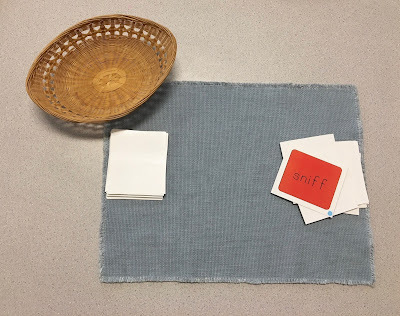 #1 - Picture to Word Cards: using this work the child matches all the picture cards to the corresponding word card. There is a control of error on the back of each card for the self checking. When checking for mastery the guide sits with the child while they show their knowledge. If a child peeks at the back of the card you would simply say something like, "You are getting close. Try it again and get me when you feel you've got it." Once there has been mastery the child then records these words in their language notebook or binder. #2 - Domino Cards: this work is new, fun, and engaging for the children. Each domino has the word first and the child looks for the matching picture to be found at the bottom of the mat. There is a red dot at both the beginning and the end to show where to start and stop. Mastery is shown by the guide watching the child put the domino chain together independently. Once mastery has been achieved the child records these words in their language notebook or binder. 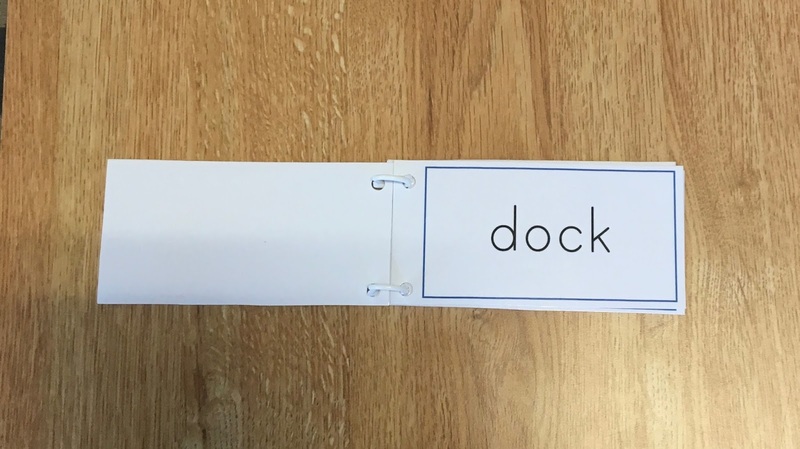 #3 - Word Booklets: the child practices reading words in booklet form. Mastery is shown when the child reads through the book with ease. Once mastery has been achieved the child records these words in their language notebook or binder. 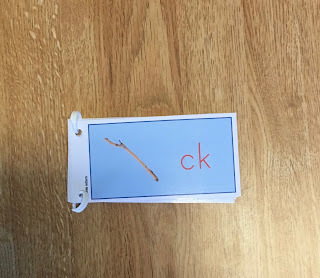 This booklet acts as a means for the child to practice their knew skill. #4 - Printed Moveable Alphabet Sentence Building with Picture Prompts: Several of the children in my current class have said that this is their favorite part of each drawer. Each card has an interesting picture with a word containing the specific difficulty on the back. 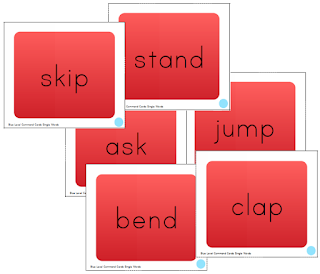 The black and red printed alphabet are used to create a sentence of the child's choosing. 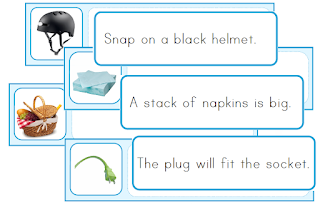 There is often a need to coach the child for a few sentences before they begin to figure out how to make their own sentences based on the picture. They feel pretty accomplished with their sentences. The spelling/punctuation we are most concerned with is the isolated difficulty (i.e. a-e saying long a) and capitals and periods. Inventive spelling is fine except in the case of any previously learned difficulties or punctuation lessons a specific child has had during Writer's Workshop or Word Study. Once they have had their sentence checked by a guide they record it in their language notebook or binder. This work provides a motivation for spelling as well as for writing practice. 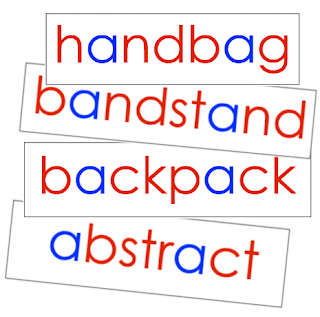 #5 - Word Lists: This work is meant to give the child practice in reading more words with this isolated difficulty. When the child can read all of the words with ease and fluency they may then write the words in their language notebook or binder. Notice that the difficulty is no longer in red. 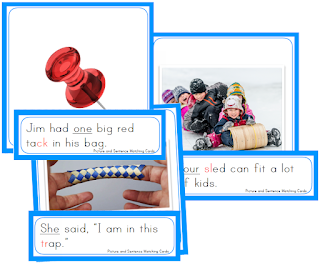 #6 - Sentence Strips: The child reads for practice a set of four sentences for each difficulty. 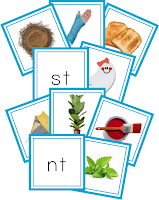 High frequency words (Fry words are used) are included in the weekly practice for the child. The full set of Pink, Blue and Green word cards in sets will be made available once the series is completed. Once a child can smoothly and fluently read their sentence to a guide they may write it down in their language notebook or binder. Early Elementary: Be certain to edit with the child for capitalization and punctuation. When I begin the first drawer with the children I set them down with the entire drawer and all its components and the black and red printed alphabets. There will be some children who have the capacity to be at this reading level and still need an individual presentation on each component so take that into account when preparing for this lesson. Each pouch is numbered and I point that out to the children. I let them know that they are so advanced now they will be able to begin working through these boxes at their own pace and as quickly as they are ready. This tends to get them excited right from the start. I let them know that each new box (or set of boxes) needs a lesson and say you get to have your first lesson right now. 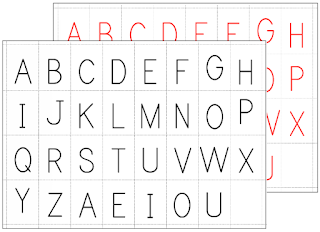 I introduce the black and red printed alphabet. I say that because they are now more advanced they may use this special kind of moveable alphabet. Since the first set is Magic e I use the black printed alphabet to write the word can. I say, "This is the word can. I am going to add the letter e to the end of the word can." I add the letter e and say, "This letter e is going to change the word can into something new." I then take the red printed e out of the box and lay it at the end of the word. 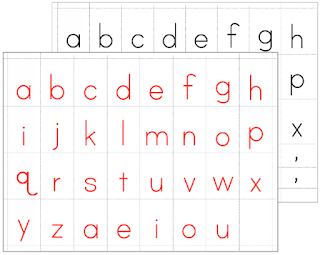 I then lay the red a over the black a. I say that when an e is added to the end of a word it usually makes the vowel say its name and we discover together what new word we have made. 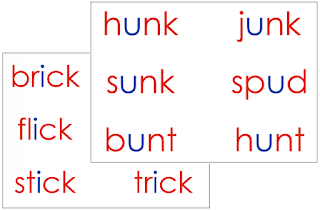 We practice with several other words (including other vowels such as pin/pine, hop/hope, cub/cube); always adding the red e at the end and laying the red vowel over the black one. Once we finish this part of the lesson I say that there are several parts to one box and they need to do them in order. I also say how important it is that each one be mastered before moving onto the next. If there are children who need each part of the lesson explained I will only present one step of the box at a time. (Many Early Childhood children fall under this category). I pull out #1 - Picture to Word Card Matching and mention that they will recognize this work from the blue reading series. I do a quick refresher on how to do this work and let them know to find an adult to see their work when they are ready to master it. I then put that one away in the box and pull out #2 - Word and Picture Dominoes and show show special interest in the beginning and ending dots. I say, "You will know where to begin and where to end by paying attention to these dots." I put together the first set of dominoes so they can see how this work is done and tell them to find a guide when they are ready to master off this work. I return this work to the box and move on to #3 - Single Word Booklets. I mention how quickly they will be able to read these new words with all the practice they will be getting in. 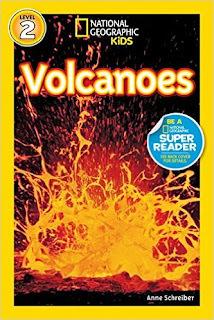 I show them how to read through the booklet and make certain to find the front page to set it right for the next person and tell them to find a guide when they are ready to master off this work. 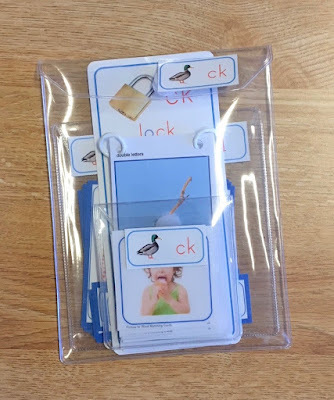 I put this work back in the box and get ready to show #4 - Picture Prompts for Sentence Building with the Moveable Alphabet. I show one picture card on the front and then flip it onto the back. I like to show the pink lake first because it is a bit sensational. I say, "Look, Here is a lake and it is pink! Look here on the back of this card, it says lake. I am going to write a sentence about this lake on my mat." 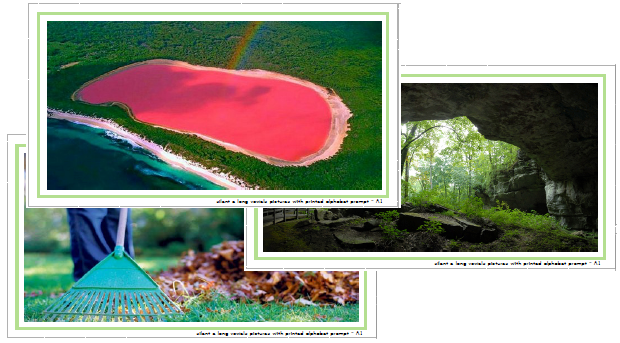 I proceed to ask them what kind of sentence I could build about a pink lake. I take their suggestions and build a sentence. 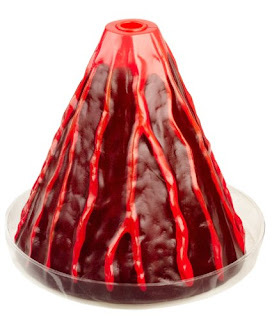 I make certain to point out that the difficulty will be in red and nothing else. I put this work back as well as the printed alphabet letters and move onto #5 - Word Lists. I mention how they will recognize how this work from the blue reading series and tell them to find a guide when they feel they are ready to master this work and return this work to the box. 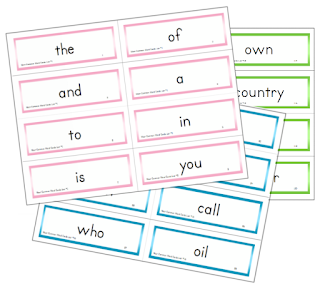 I show them #6 - Sentence Strips as well as the matching High Frequency Words set. 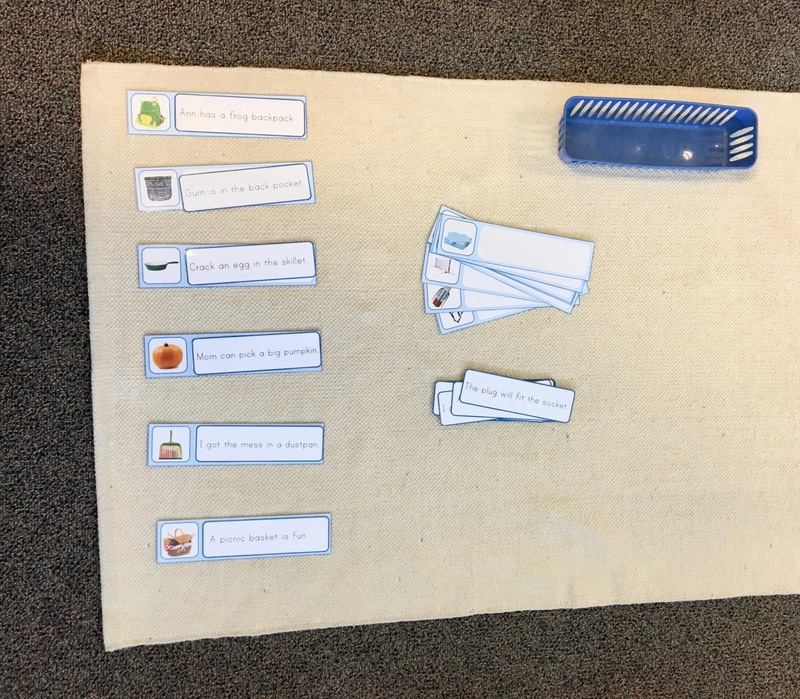 I tell them that this work will help them become good readers and that the sentences have the High Frequency Words in them that will help them read a lot of other things as well. I return this work to the box. I reiterate the importance of finding a guide before moving from one work to another as well as the requirement that only one work from the box be out at a time. I let them know they may do this work whenever they like and have the children help me return all the parts of the lesson to their proper place before allowing them to use it. 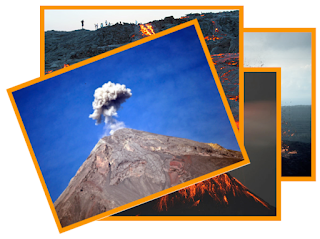 Sometimes a new set of difficulties will require a new lesson about how to use the set, but often each new box needs a new lesson on the rule that accompanies it. 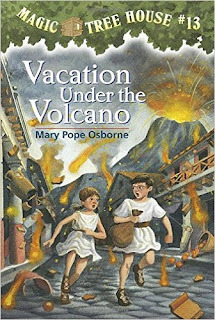 You can never suppose anything and it it much better to be safe than for the children to flounder and get frustrated. Finally - The Green Reading Series has been uploaded to the Free Downloads site here. You can navigate through the different sets that are available now and I will update more as I get them. 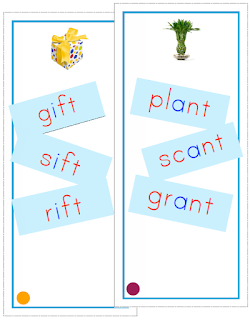 I am currently working on the sentence strips for Set D. There is a Reading Program Check-off List we use and it will become also become available when the program is finished. I was saying how many files I have that are not available on this blog and think it is about time to get some of them uploaded to share with everyone. 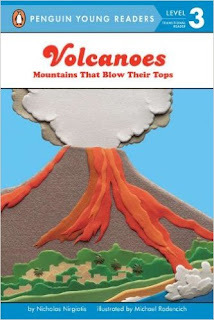 We have been studying plate tectonics in our Early Elementary class over the last few weeks and we are finally prepared to move onto volcanoes and their types. I have files and suggested materials for both the Early Childhood and Early Elementary classroom. My next post will deal with Elementary files and suggestions. 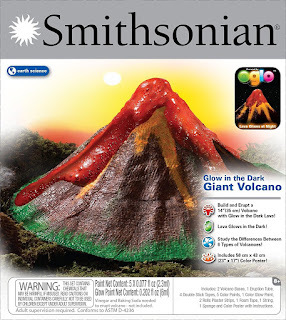 I simply use vinegar, a couple drops of orange food coloring and some baking soda to create the demonstration. 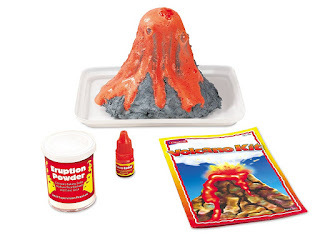 In order to give the children a hands-on experience in erupting their own volcano it would be best to choose something made of plaster or plastic. 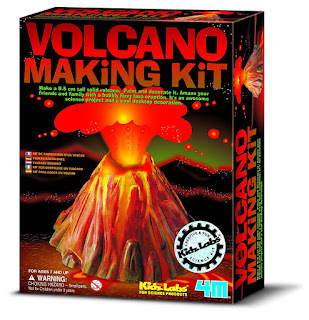 The plastic volcano kits are the easiest to clean independently. 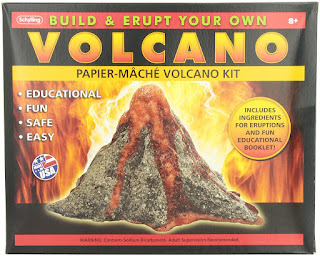 I actually love this volcano for the on the shelf independent work because of its small size and easy clean up. 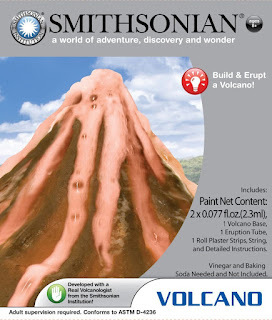 When it is set up there is just enough baking soda and colored vinegar for one eruption. Once finished, including the child has cleaned it up for the next person, they can put it on the replenish shelf for the assistant to add more colored vinegar and baking soda. 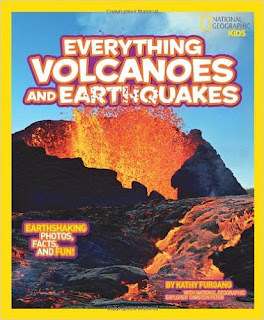 I add to a second basket these photo cards to give children a chance to see great pictures of lots of different kinds of volcanoes. 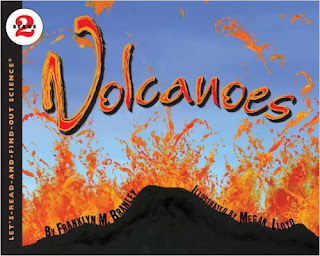 This is a great primer for the elementary grades where they will learn about the types of volcanoes. 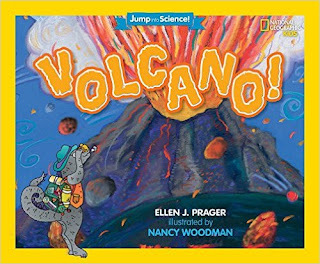 After the children have had plenty of experience erupting the volcano it is a great time to introduce the Volcano Nomenclature Cards. 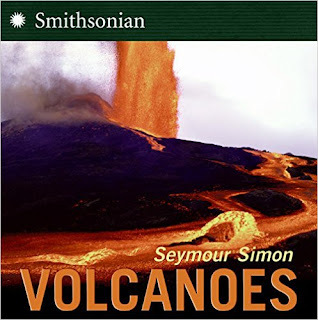 Sometimes you will have someone who knows a lot about volcanoes in your group and other times you might not. The ones who know so much can really enrich the conversation. This is the Early Childhood set of nomenclature cards and the blackline master to go along with it. Older children should ALWAYS write the words independently by looking at the booklet while the littlest ones could trace the words. I make my control booklet from this blackline set as well. I trace over the letters with a thin black Sharpie marker so that children could place their paper over the booklet and trace the letters if they wanted to. I want my letters to look nice so the children learn the correct formation.